This entry was tagged grace, John Wesley's Journal, Methodist, Methodist movement, spiritual discipline, starting again, writing. Bookmark the permalink. Dad, if that is the case, then it is only because you and Mom encouraged me to read. Almost every night you read two stories to me, one from the Bible and then a book of my choice. 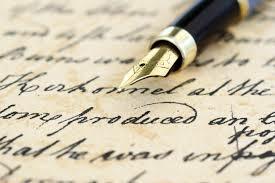 I think my writing has improved because I have been, and still am, an avid reader of many genres of books. You may not have given me that gift, but you certainly encouraged it and aided it!